We've been getting along so well for the last nine months. I've downloaded, saved, posted, edited. But now you've turned on me. You won't let me download my pictures with your new picture downloader. Is it something I've done? Hmmm . . . so let's get right to the point today . . . 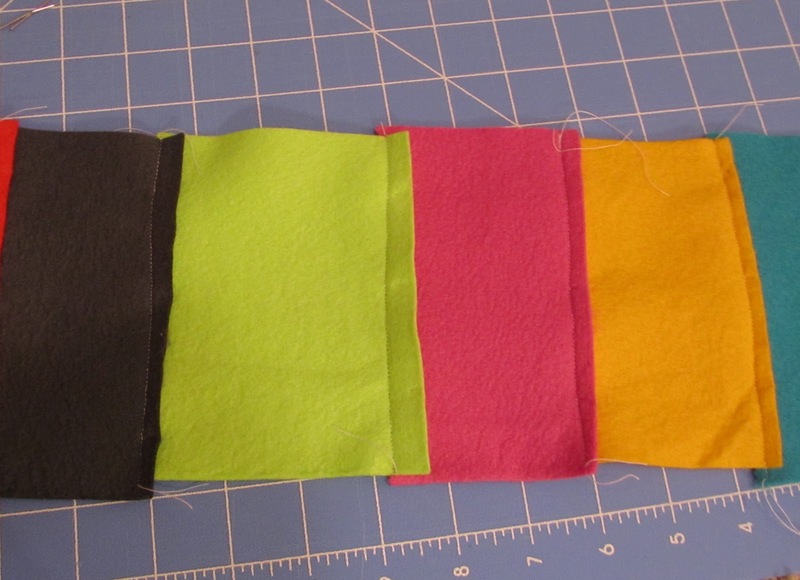 I'm pretty sure that my crafting to blogging about crafting ratio right now is 1:100. That might be a slight over-exaggeration. But whatever the actual ratio . . . 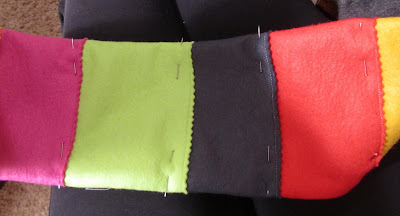 I confess that lately I've spent more time blogging about crafting than actually crafting. And in an effort to get my crafting mojo back, I've made a commitment to spend tonight crafting . 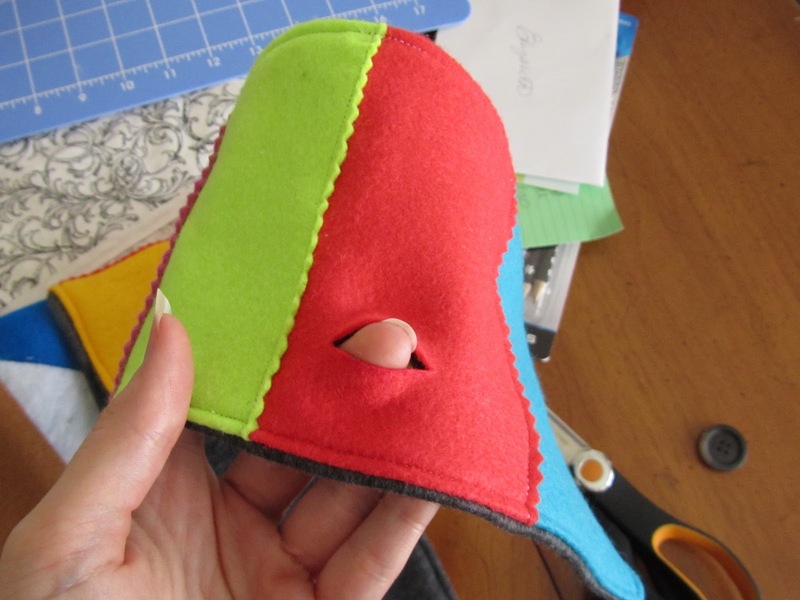 . . not blogging about crafting. 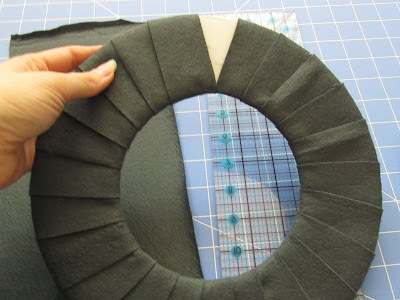 What's your crafting to blogging about crafting ratio? I've been fielding quite a few e-mail questions about blog buttons lately. There are a number of you out there who don't have a blog button, but are looking for tips on how to make your own. I love how you think that just because I'm obsessed with something and write about it, that I actually know what I'm doing. Even though I really don't have a clue, I thought I would play along and share the advice I've been passing out by e-mail to the rest of you. My second piece of advice is to start simple. You can always learn and tweak and start over as much as you want. But sometimes when you are first starting out, it's best just to keep it simple, clean and fresh. That's why I'm showing off these three buttons and blogs today. 1) How would you describe your blog in five words? I share so you'll shine. 2) Did you craft your button or did you inspire someone to craft/create it for you? I made my button myself (digitally of course!). Early on, I decided to use Polaroid type photos as a style for my blog. I've moved things around quite a bit, but that has been a unifying theme. There is a little free program called poladroid that will convert .jpgs to a Polaroid style photo. I love it! 3) How does your button reflect your blog? What are you hoping it says about your blog? I wanted something straight-forward and easily recognizable. I hope it says "she's a child of the 80s...I bet she has some fun ideas!" 4) What are two of your favorite posts? Oooh, that's hard to choose. I would have to say my Little Mama Series. I made new bedding for my daughters' dolly crib, which turned into a four-part essay for my girls about being a mother. The second, I made a 3D diorama in paper of the house my husband and I built together. We're now selling that house, and I am so glad to have a unique memory to keep. House of Grace Simple, clean and bold . . . that's how I would describe Bonnie's buttons at House of Grace. She has a series of buttons on her blog and they all share these same three traits. 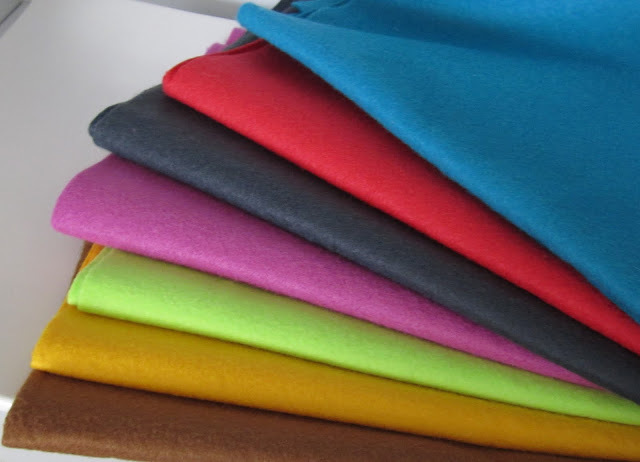 Bonne's buttons show that you don't have to have a fancy, busy button to stand out in a crowd. Simple makes its own statement! 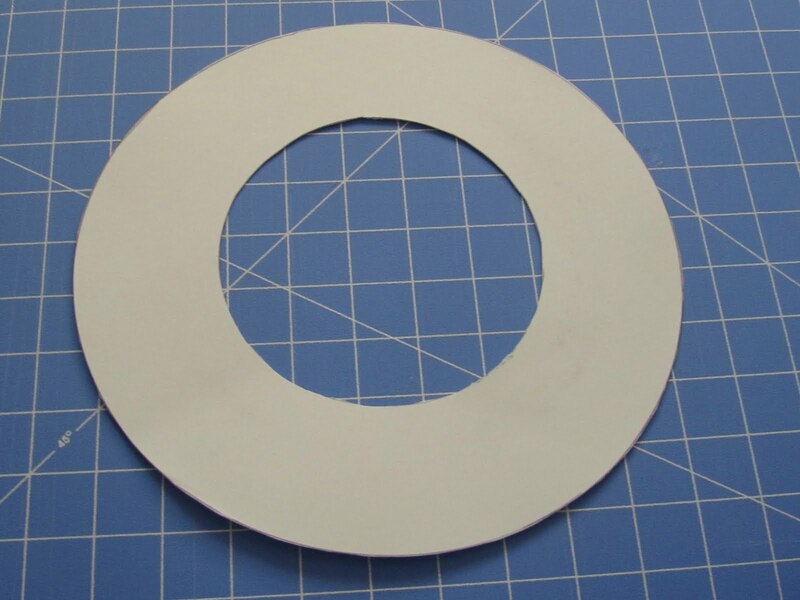 Perhaps you've been waffling on the idea of making your own button. Take a lesson from Bonnie - keep it simple! 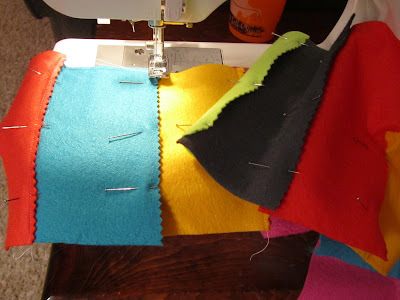 2) Did you craft your buttons or did you inspire someone to craft/create them for you? I made them all myself. 3) How do your buttons reflect your blog? What are you hoping they say about your blog? I am not sure how they reflect it but I was hoping for a new, simple and fresh look. 4) What kids of blog buttons stick out to you in a crowded sea of blog buttons? Ones that are easy to read and are not too busy. Vibrant Designs And last but certainly not least, I'm loving this last simple and fresh button from Julianne over at Vibrant Designs. Another homemade button that caught my eye right away because of the background picture. This button is a good example that a simple photo can go a long way in a button. Plus, Julianne has some amazing sewing skills (check out her blog), so this button is a perfect representation of who she is and what her blog is about. A good lesson on making sure your button represents who you are as a blogger. I'd been wanting a button for a long time but I had no idea how to go about it. One night, I was "blogging" late and something my husband said came to mind while I was contemplating blog buttons. "Google it." I did, and found a great little tutorial for creating your own blog buttons. I crafted my own button. The picture is mine from my blog banner. 3) How do your buttons reflect your blog? What are you hoping it says about your blog? I think it's best for a blog button to reflect the blog it represents. My banner photo is the same on my website, my fb page, and my blog. 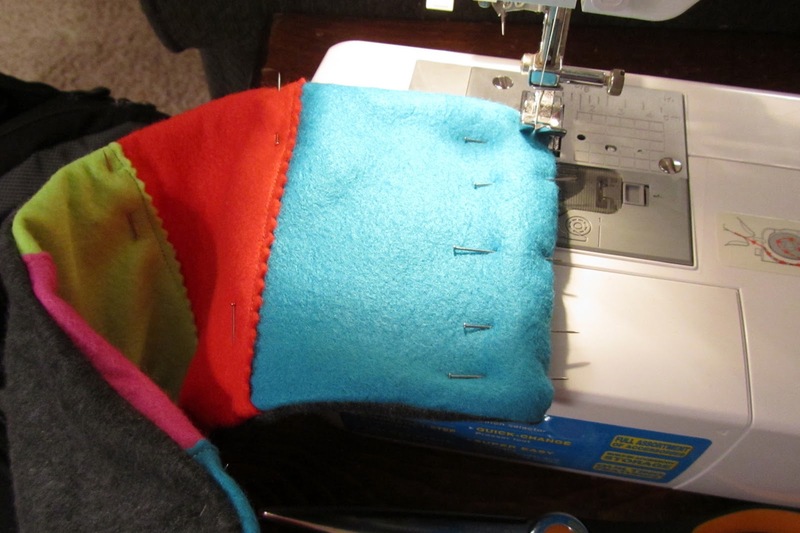 In addition, I love to reuse interesting/vintage items, hence the antique sewing machine. 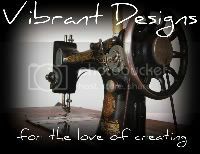 I am hoping it reflects my love of all things vintage, fabric, and sewing. Colorful and unique...and words that don't quite make sense. I'll go check them out just to figure out what they're talking about. For instance, Flamingo Toes...what does flamingo toes have to do with crafting? Go check out the blogs behind the buttons and . . . I feel like this project is getting a little bit hugely out of hand. However, I'm starting on a few custom orders and also hoping to put a few pieces of this set into my super lame Etsy store, so I'm in deep . 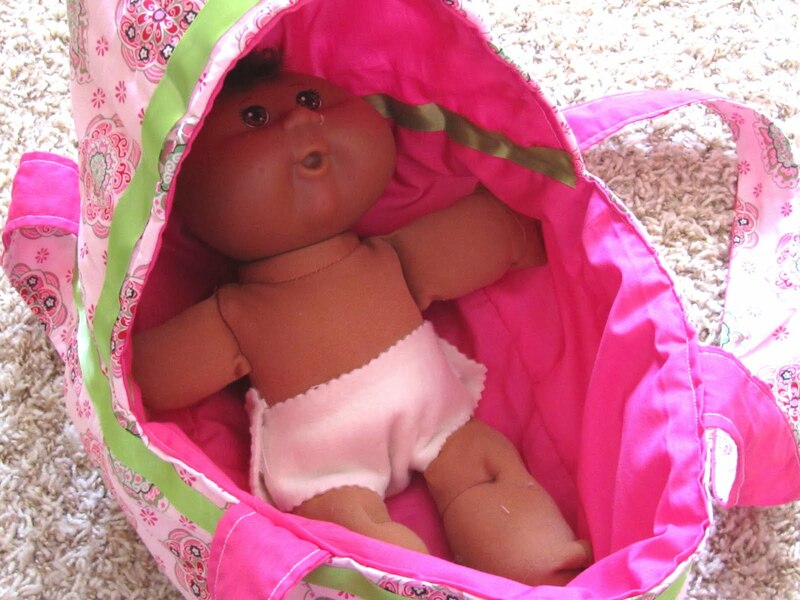 . . maybe too deep with the pretend and play mommy set. Now, on to the pretend and play changing pad. 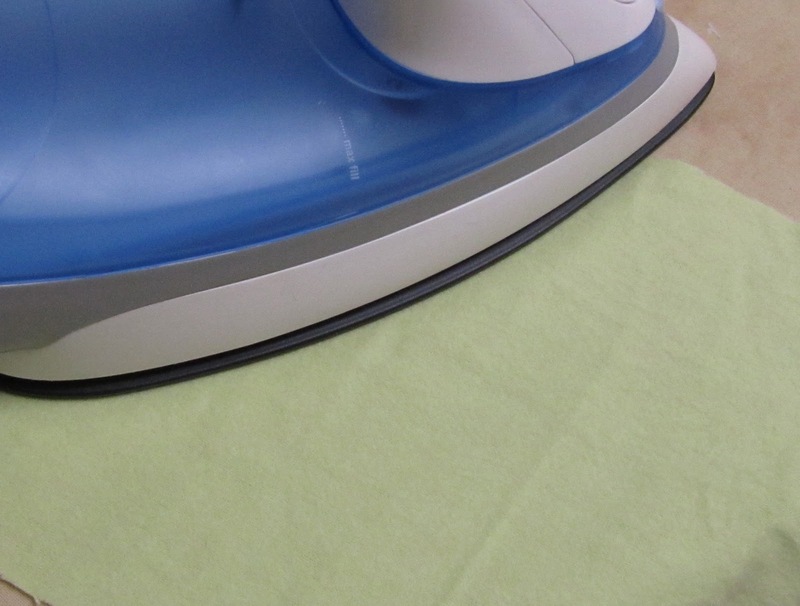 Thankfully, this particular changing pad doesn't actually need to be water resistant, so you probably already have the supplies on hand. 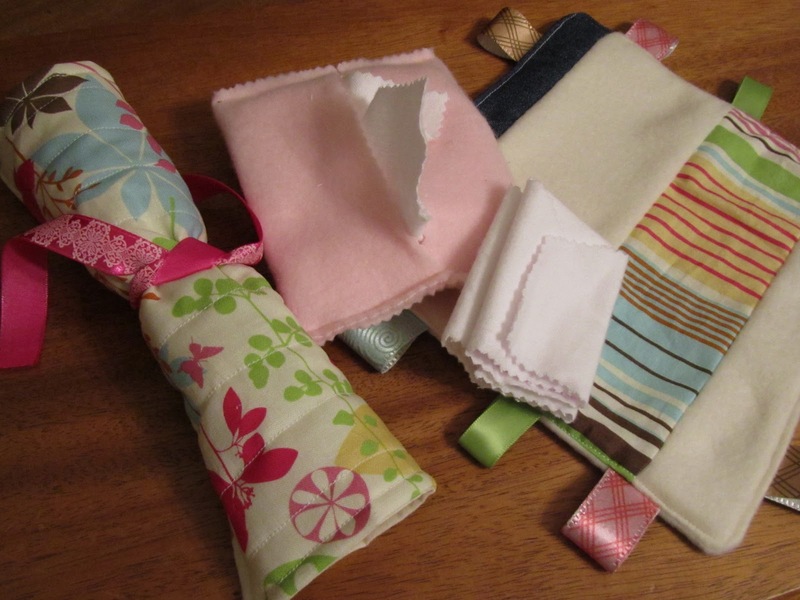 1) Measure the doll or dolls who will most likely be using the changing pad. 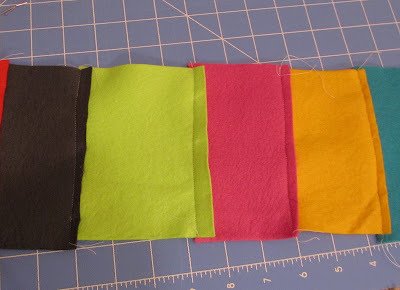 Cut your fabric and fusible fleece or batting to these measurements adding about two inches. 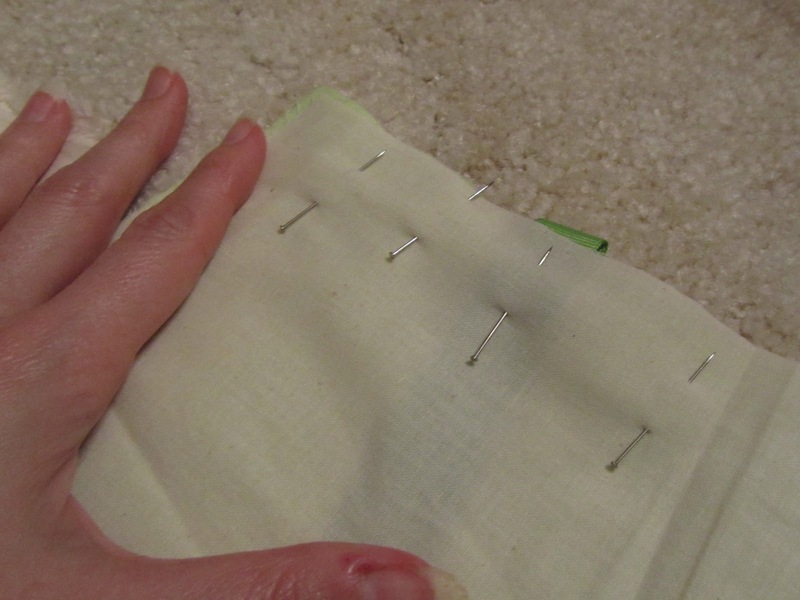 2) I wanted to add a few details to my plain fabric on this particular changing pad. 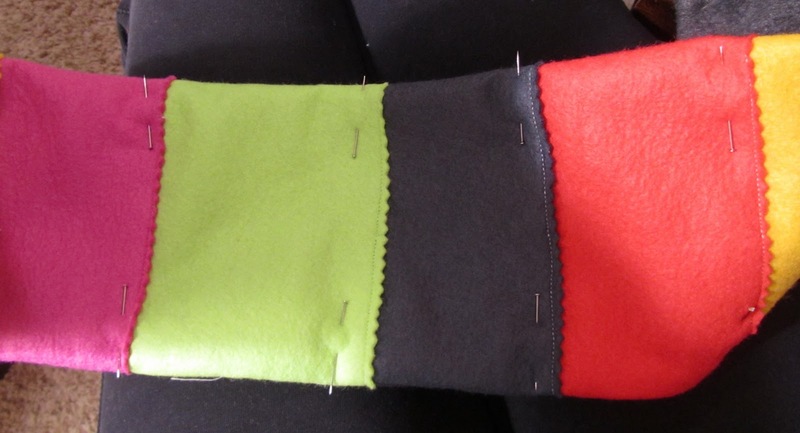 I only had a few scraps left of the pattern/color that I used for the bassinet and diaper bag, so I used fusible interfacing to secure the scraps and also used the sewing machine to add a little stitch detail. With the other changing pad I used quilt batting so I quilted one side with straight parallel lines for added detail. 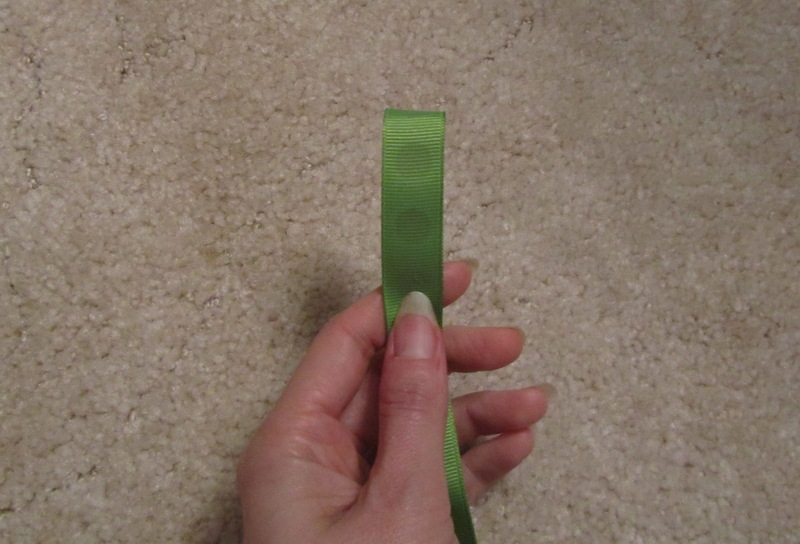 4) Cut ribbon 15 to 20 inches - depending on the length of your changing pad. 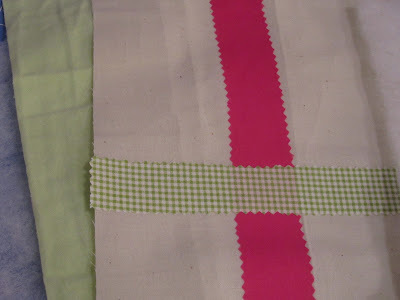 Remember the ribbon will be folded in half, and it needs to be long enough to wrap around the rolled up changing pad and tied. 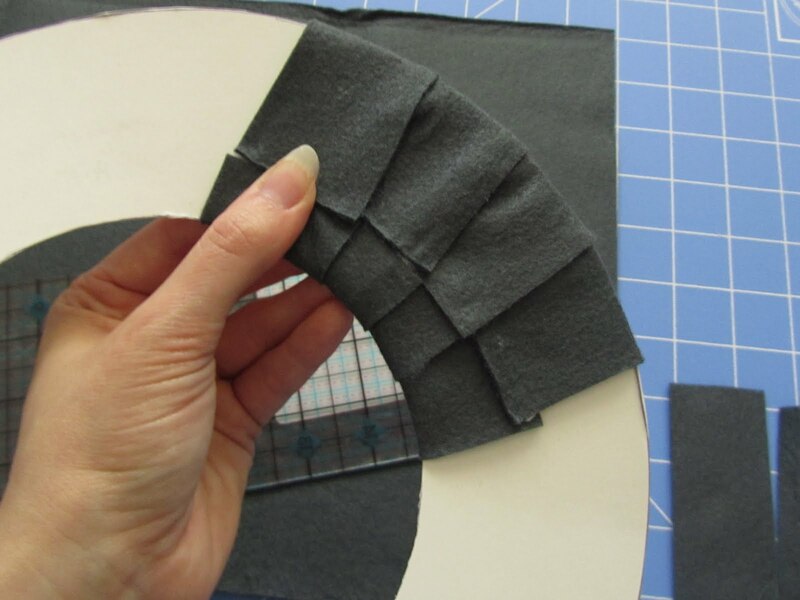 Fold it in half right sides together. 5) Sandwich folded up ribbon in between fabric rectangles right sides together. Pin. Sew around leaving two inches for turning. 6) Turn. 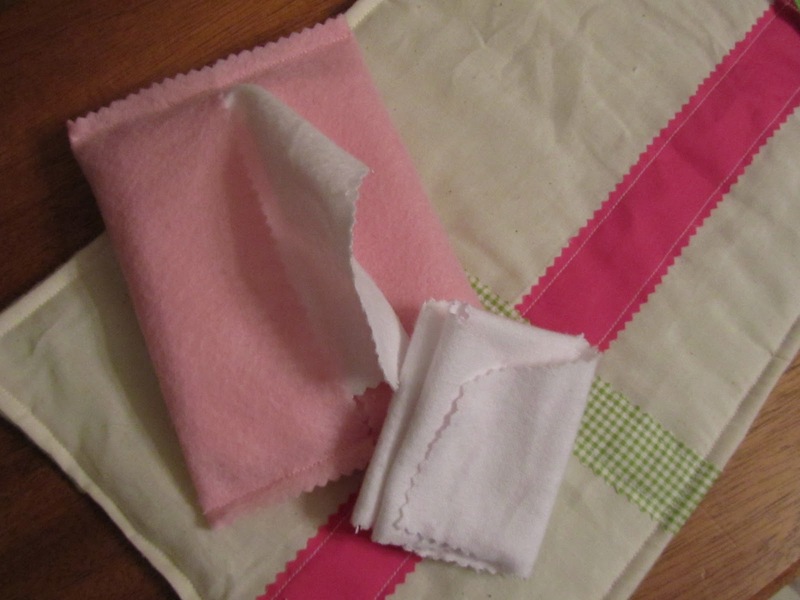 Fold in turning opening and top stitch all the way around the changing pad to close up opening. 7) Roll up, tie, stick in diaper bag along with diaper wipes and doll diapers! So cute! Hours of fun for your little one! Click on the links below for some of the great parties I may link to, or check out my "I like to party" page. First, I'm loving Stuff Your Stockings Saturdays so far. I hope you are too! I'm so thankful for the three wonderfully creative ladies who have shared tutorials and giveaways over the past three Saturdays. There are some cute tutorials and even a few more great make it or win it giveaways coming up for future Saturdays. However, I'm hoping to fill all the Saturdays until Christmas, so please keep linking up any ideas that you think would make great stocking stuffers to the idea page. Second, today is September 25 . . . I believe I've mentioned that I like to state the obvious. So . . . you know what that means . 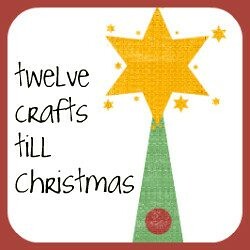 . . only three months to get cracking on at least one homemade/handmade gift for a loved one in your life. Commit to it right now and just do it! Check out the tutorial page for a few ideas. 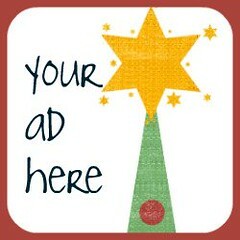 This is also the last day of my reduced ad rate. I'm super excited about the amazing sponsors who've taken advantage of that ad rate so far. (Check them out in the sidebar. You will find some wonderful places to buy handmade gifts on the off chance you won't have time or energy to make all of your own handmade gifts.) Anyone who e-mails me before 11:59 PM (CST) will get the reduced rate. Third, I need to figure out how to number my comments because when RANDOM.org picks a number like 60, I get a little agitated counting that far. Needless to say the winner of the anthro-inspired bracelet made by Beverly at Flamingo Toes is . . . Annette at Designs by a Rose. Congrats Annette! 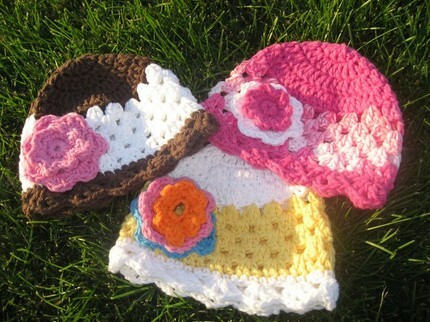 Don't forget to check out the super cute crochet hat tutorial from Michell. She's also giving away to the winner their choice of hat from her Etsy shop! I soooo wish I could enter! Alright that about covers it for tonight . 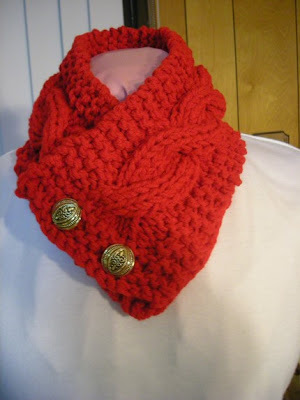 . .
A few years ago I attempted to teach myself to crochet. I managed to make a very small square before I gave up. 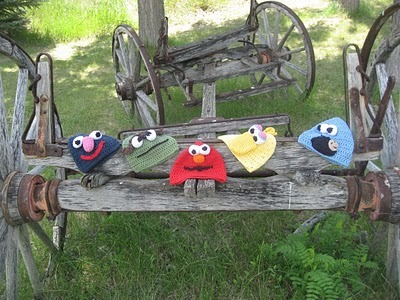 After seeing these sweet little Sesame Street hats that Michell linked up to the stocking stuffer share-along page, I'm thinking that I may need to drag out my crochet supplies and start learning again. Michell has a very cute stocking stuffer to share with you today. And . . . she's even giving you the chance to make it OR win it! Woo hoo! I'm so excited to have the pleasure to do my FIRST guess post. Last year at 39 I had a baby, quit my Flight Attendant job and picked up my crochet hook that I forgot about for the last 15 years. Isn't this Santa Hat the CUTEST?? This is the first place that you can stop increasing and continue on for the length of the cap. The will fit a newborn size head 12"-13" inches. This is another place that you can stop increasing and continue on for the length of the cap. 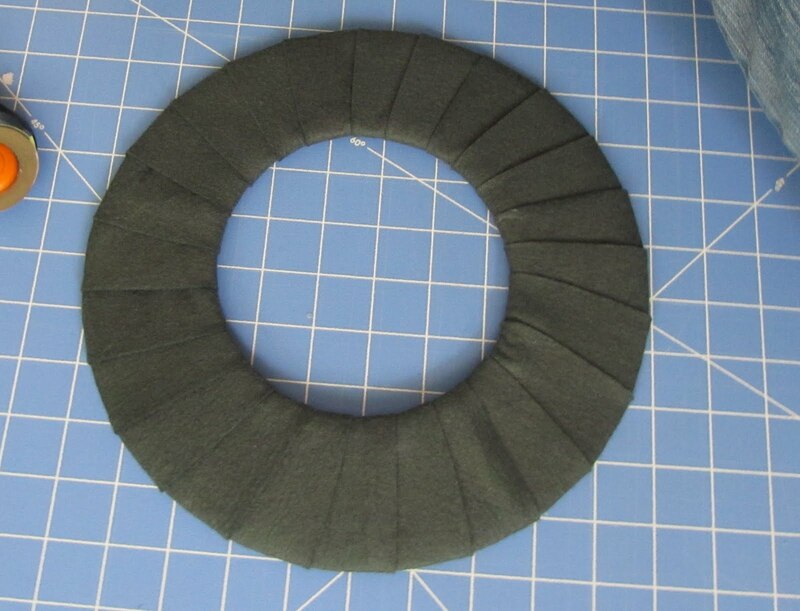 This will fit a toddler size head 16"inches. This is another place that you can stop increasing and continue on for the length of the cap. This will fit a child size head 18" inches. Continue for the length of the cap. This will fit an adult size head 22"-24". 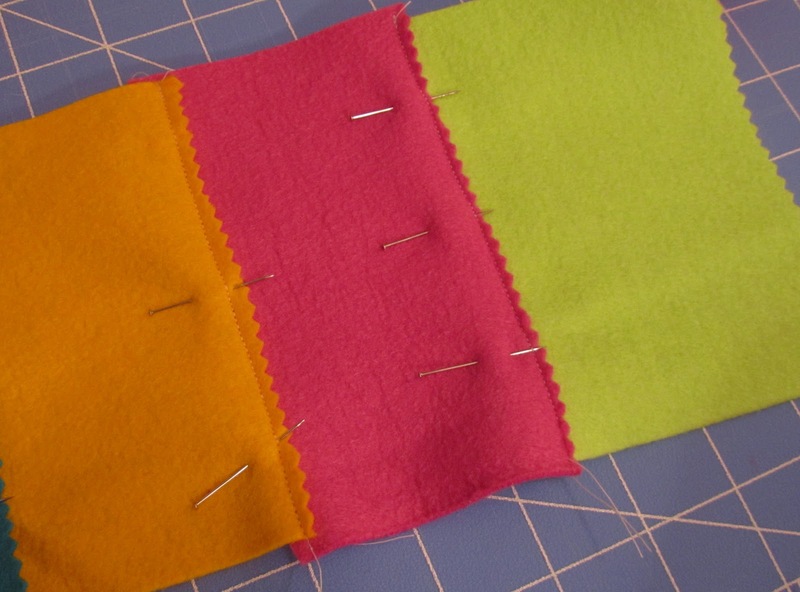 To end, skip 1 stitch, slip stitch in the next stitch. Cut the yarn and pull the tail through. Round 2: Work 1 double crochet in each single crochet around. 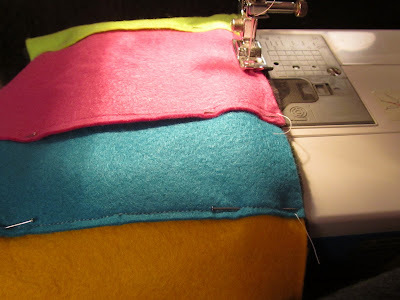 Join with the beginning stitch. Round 3: Work 1 single crochet in each stitch around. Join with the beginning stitch. 1. 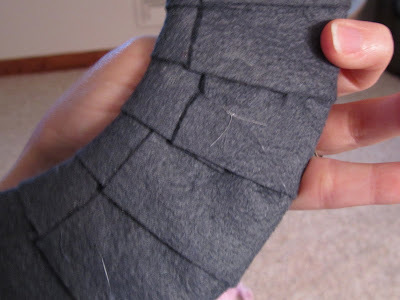 Wrap yarn around 2 or 3 fingers about 50 times. 2. Slip off fingers and tie a tight knot around middle. 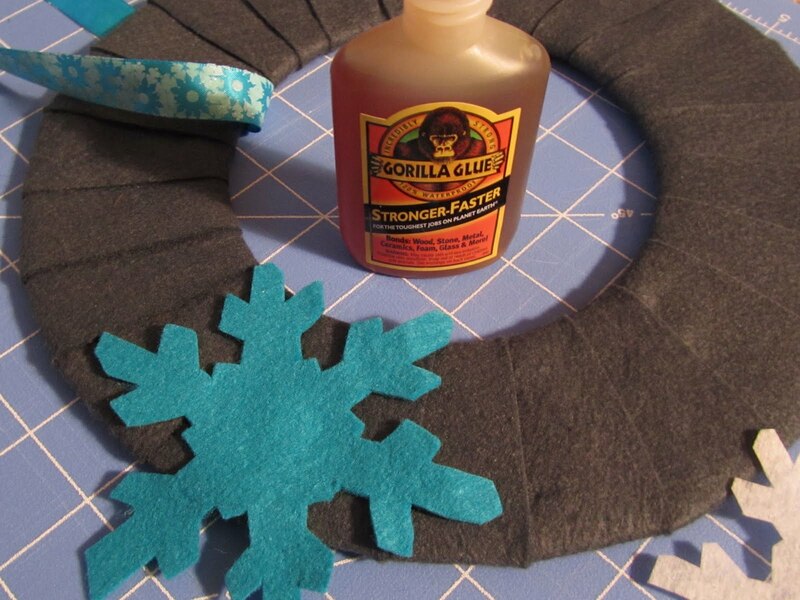 Use yarn needle to attach pom-pom to hat. That was so FUN....let's give one of my hats away! You have got to check out Michell's Etsy store too . . . so many cute hats! And she's going to give the winner their choice from the super cute collection. 2) Be or become a follower of Girl in Air. 5) Go check out Michell's Etsy page (click on link above hat picture) and leave a comment with which hat you will choose if you win. 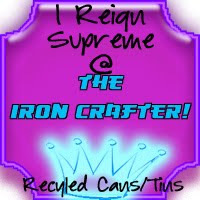 Giveaway will be open for entries until Friday, October 1, 2010 @ 11:59 PM (CST). 1) Heat 1/4 cup olive oil in saute pan. 2) Add garlic, potatoes, onion, peppers and mushrooms. Saute until tender. Add seasoning to taste. 3) While potato mixture is sauteing, steam broccoli until just tender. 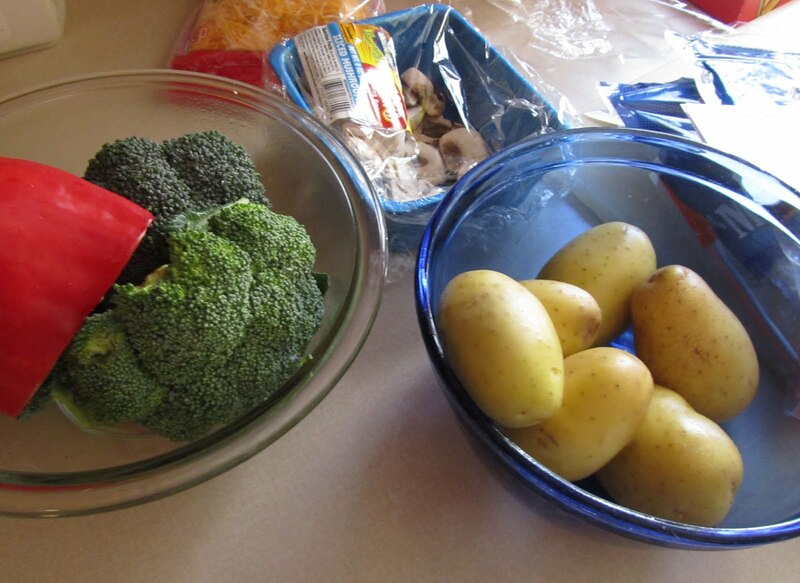 5) Sprinkle 1 to 2 cups of cheese on top and mix cheese into potatoes and broccoli. Then sprinkle remaining cheese on top. 6) Place in 350 degree oven for 20 to 25 minutes. **As you know by now, three people in our house are vegetarians. However, if you prefer to have meat in your meals, you can add add it. My husband sometimes adds Canadian bacon from the pizza isle at the grocery store to his side of the potato bake. Today is the first official day of fall in North America. So . 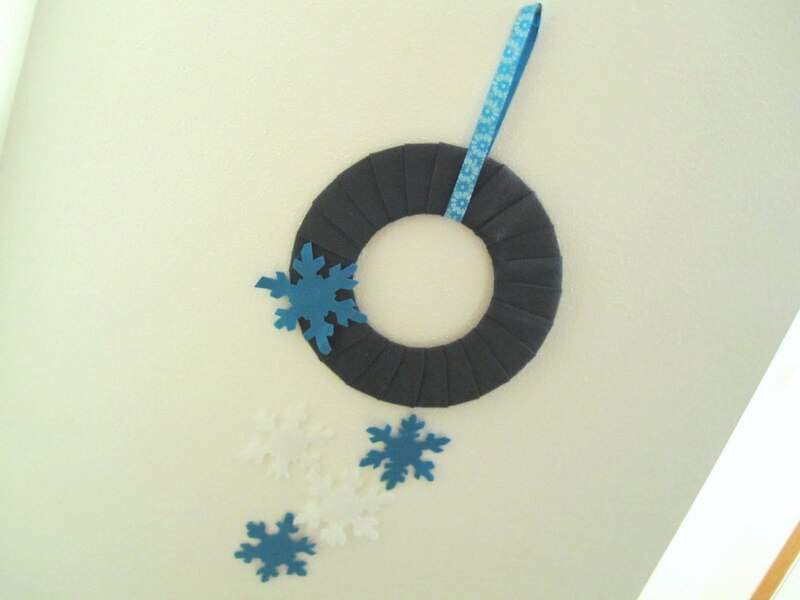 . . naturally, I made a winter wreath. I know . . . I'm just a tad bit ahead of the calendar. I tired and tried and tried to get into the fall crafting mood. Every single blog that I follow is full of festive fall crafts - painted pumpkins, Mod Podge leaves, corn husk wreaths . . . I could go on and on. Inspiration is everywhere . . . for fall, but I just couldn't do it. 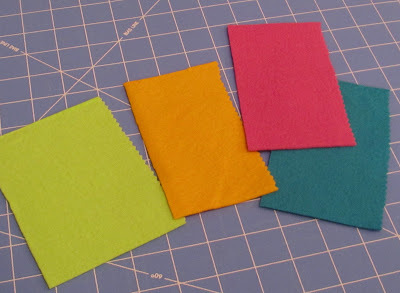 Then I received this little package of bamboo felt from National Nonwovens treasures from my blog-friend Sandi over at A Legacy of Stitches. . .
. . . and my mind went instantly to winter. I have lots of plans for these beauties. Here's my first one. -felt . . . I used bamboo felt. I love the look and feel of it - so soft. 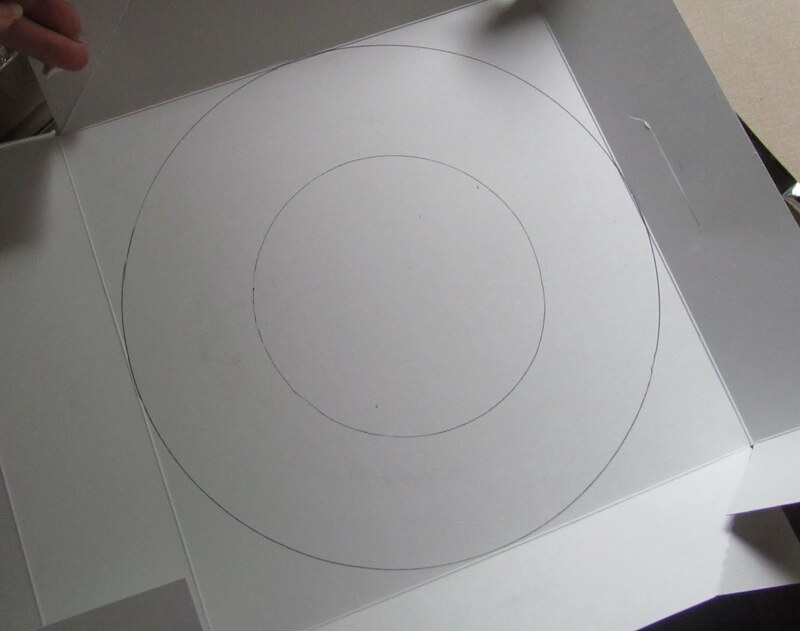 -cardboard or a wreath form . . . I'm cheap, so I use cardboard. -glue . . . You could use any kind. I used Gorilla Glue because I had it on hand. 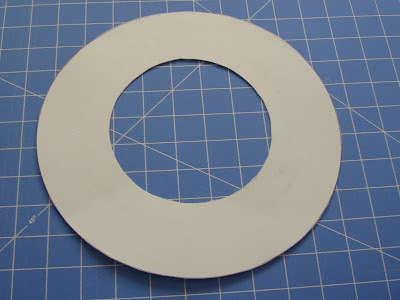 1) Cut out several circles of the same size from cardboard and glue them together with Gorilla Glue or other glue. 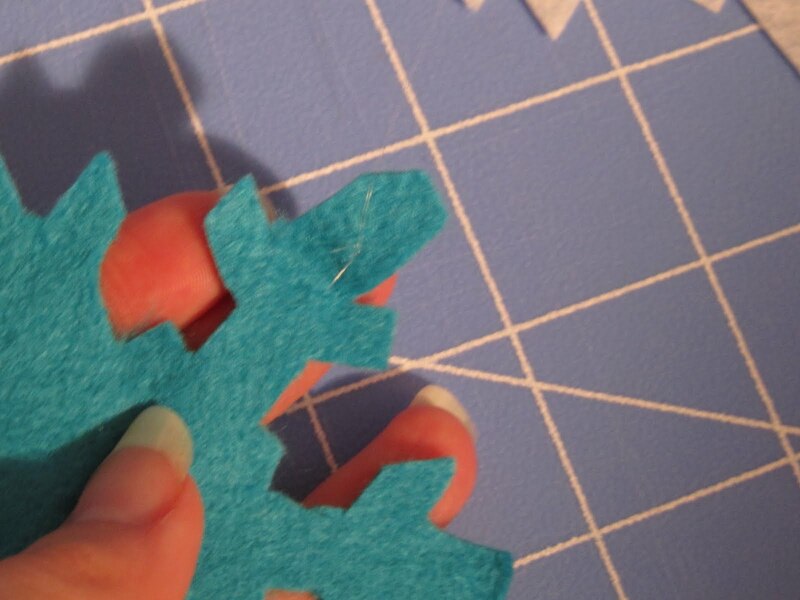 Use as many layers as you like for thickness. 2) Cut the felt you are using to cover the cardboard wreath form into strips that are 1 1/2 inches wide and long enough to wrap around your cardboard form. 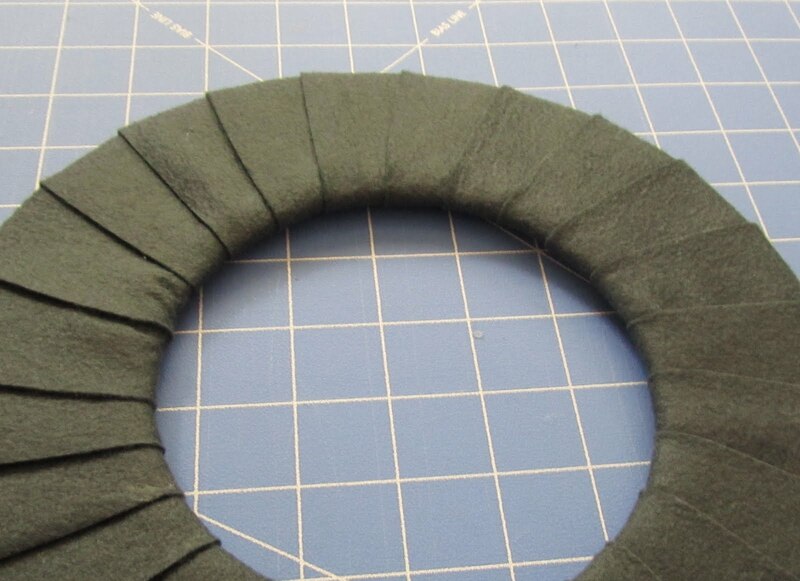 3) Wrap felt pieces around cardboard form. 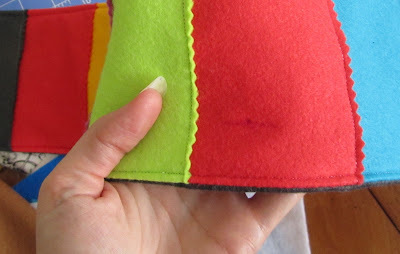 Do not glue the first piece very securely yet because you are going to have to tuck the very last felt strip underneath this one. 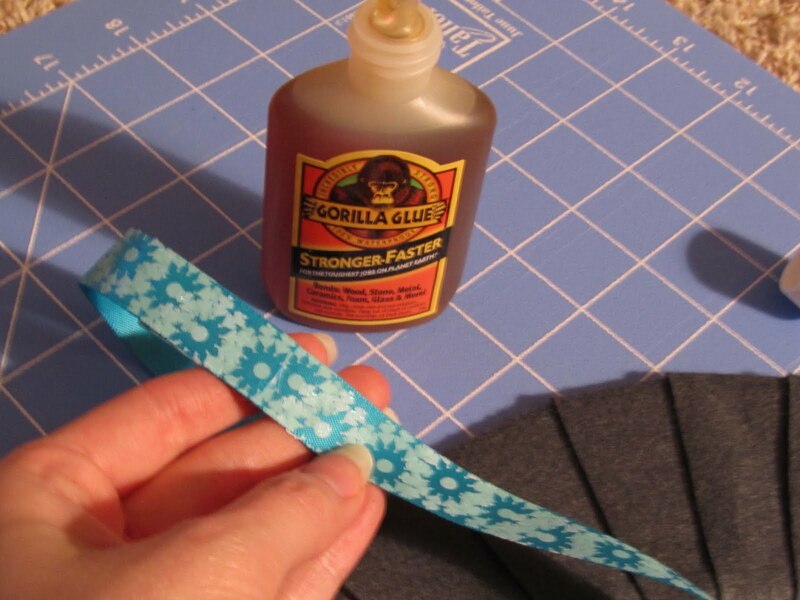 Glue them on the back using Gorilla Glue. 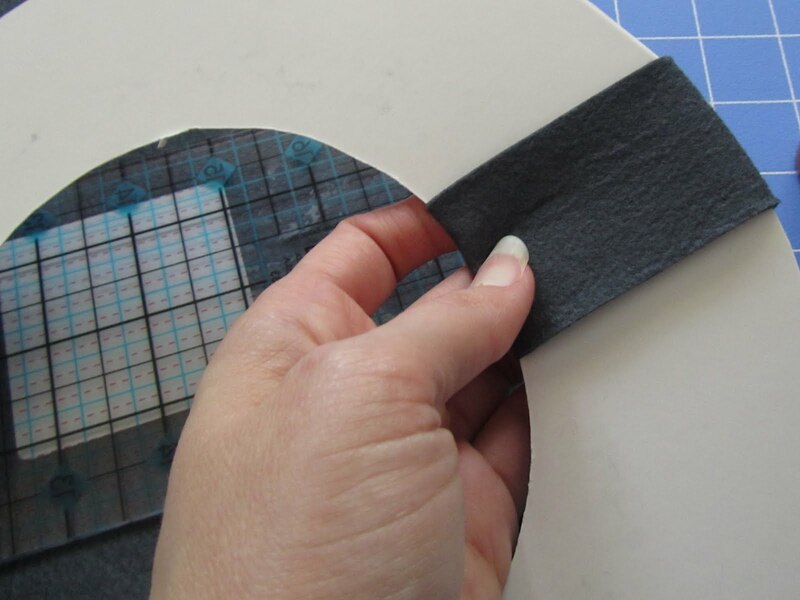 Layer each piece over the previous piece as you go around the form. 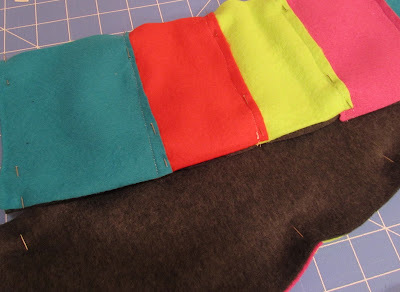 4) Wiggle the last felt piece underneath the first one to completely cover the cardboard. 5) Use snowflake stencil or clip art cut out to trace and cut out as many snowflakes as you like. I used three blue and two white. 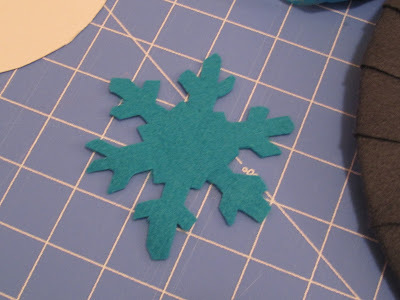 6) Use needle and invisible thread to attach the snowflake to the back of the wreath at varying lengths. 8) Slide ribbon under wreath and glue together overlapping ends. 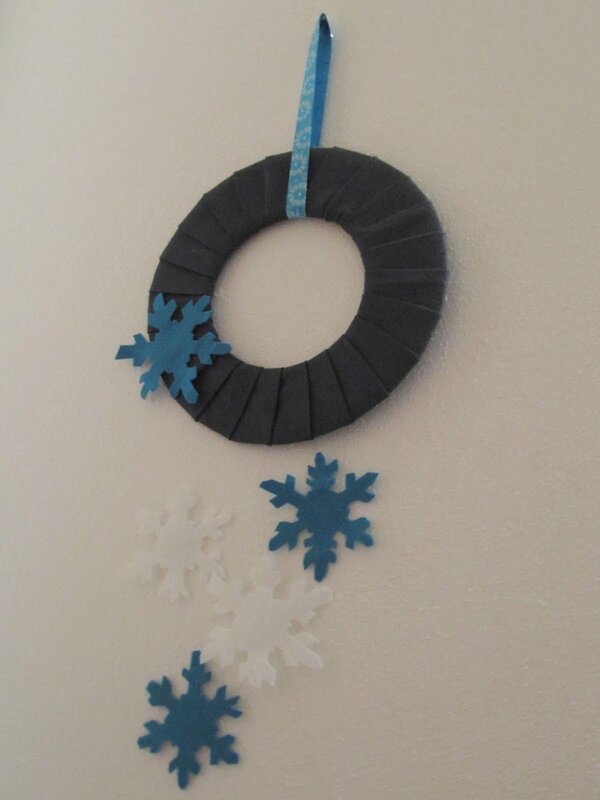 I had the most perfect snowflake ribbon from Michael's for this project. Check out the great parties I may link to by clicking on the blog name below or visiting my "I like to party" page that shows off all the party buttons. These gals go to a lot of work to host these parties. If you particpate in parties please take time to look through a variety of the projects linked up. They are a great source of inspiration!